A lakefront camp in Albion collapsed on and killed 52-year-old Robert Rodriques of Augusta in May 2012 while he was working on the camp for Linwood Stover's company, Kennebec Home Improvement. Linwood Stover, owner of Kennebec Home Improvements, when reached on his phone by the Bangor Daily News, said he has no intention of paying the $9,240 in fines that the Occupational Safety and Health Administration levied on Aug. 9. He claimed all the violations OSHA cited were wrong. The recent violations in question stem from a May 15 accident at a job site in Albion. 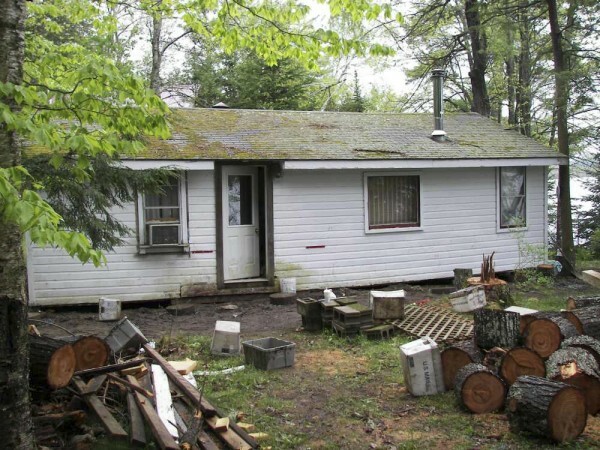 Stover and two independent contractors were renovating a camp when, according to OSHA, they jacked the structure off its foundation and onto blocks, after which one of the workers, 52-year-old Bobbie Rodriques, crawled under the building to do some work. Something “apparently shifted” and the building collapsed, killing Rodriques, according to a statement at the time by Stephen McCausland, spokesman for the Maine Department of Public Safety. After an inspection, OSHA cited Stover for three “serious violations,” each of which carries a $3,080 fine. Two of those violations involved jacking the camp off its foundation and onto blocks in an unsafe manner, while the third had to do with the failure to have someone in charge of inspecting the worksite and failing to instruct employees “in the avoidance and recognition of hazards while working under a raised structure.” However, Stover claims he wasn’t jacking the camp off its foundation at all. “We weren’t doing anything they said we were doing. Nothing was up on stilts or on our blocks. Everything was on existing posts they had under the camp,” he said, adding that Rodriques was trying to take a sag out of the middle of the floor. It turns out this is not the first time Stover has butted heads with OSHA. In 2010, according to public records, OSHA levied a $6,750 fine on Kennebec Home Improvements for five “serious” workplace violations on another job site for issues involving wiring design, ladders, woodworking tools, and general requirements. Those fines were never paid, according to OSHA spokesman Andre Bowser, who said the issue has been referred to the Washington office, which handles debt collection. Stover admits to never having paid the 2010 fines, and claims he never will. Again, he said the OSHA inspectors got it wrong. Regarding the most recent violations, Stover has until Aug. 31 to respond, according to Bill Coffin, director of OSHA operations in Maine. “Any company when they receive citations with or without penalties from OSHA have the option of doing nothing — and nothing becomes a final order after 15 working days … or within the same 15 working days they can schedule an informal conference,” Coffin said. At an informal conference, the company representative has the ability to learn more about the violations and present evidence for why the citations were wrong. Coffin even has the power to adjust penalties at the meeting. But given Kennebec Home Improvements’ history, Coffin doesn’t have as much flexibility as he normally would. “I would not be able to adjust penalties on new fines if old fines have not been paid,” he said. Stover did nothing during the process in 2010, which caused the order to become final after 15 working days. About the recent violations, Stover said grudgingly that he likely would appeal, though he doesn’t have much hope it will get him anywhere.